As you may already know, I’m a huge fan of Instagram, and I use it on a daily basis, both uploading my own photos and getting inspiration from other travel Instagram accounts. There are so many good travel Instagrams out there, so it was quite tough to pick these 17 accounts. 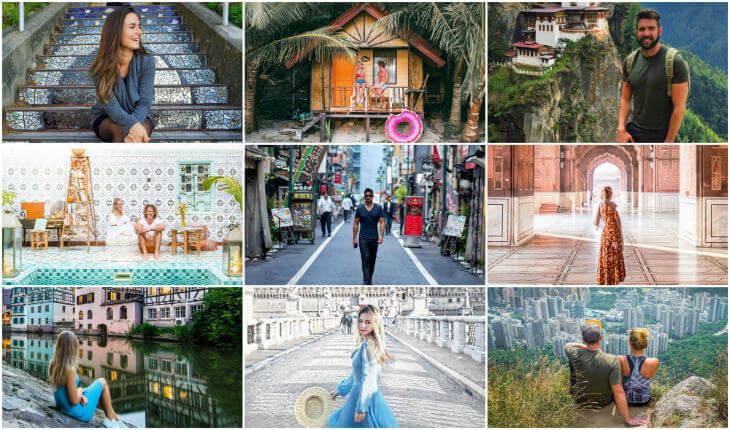 But if you look for some serious travel inspiration that will make you wanna pack your bags and leave, these 17 travel Instagram accounts are a must to follow! NOTE: they are in no typical order since they are all epic in their own way! One of the biggest inspirations in Instagram. Why? Well, he’s the CEO and Founder of @Beautifuldestinations – the most influential travel Instagram account, and he post some pretty epic content himself too! A great travel influencer who also runs a successful blog along with a very nice Instagram account. I love following her adventures around the world! Samuel is one of my favorite Instagrammer of all times. Just look at his photos and you’ll quickly understand why. He and his wife @Hilvees, produce some of the best travel couple pics I’ve ever seen! Another female traveler that makes you wanna pack your bags and go is the lovely Chloe Ting. Her photos always have great composition, scenery, light and all in all really epic! If you don’t follow her account already, do it now! Clint Johnston has been to 105 countries and his adventures around the world are very inspiring and entertaining to follow. This list would of course not be complete without my girlfriend and travel companion! While the photos of her are taken by me, she’s also a talented photographer and this year you’ll see some more chic photos and videos by Chris. Probably one of the more famous Instagram couples, and together they have more than 3 million followers, and rightly so. They create epic content and always inspire to visit new places! Matthew is one of the 7 people who’ve inspired me the most in my life, and his photos and travels are always super inspiring. If you don’t follow him already, do it! Did you know that Celinne made a pretty epic journey last year? She couch-surfed around the world and basically showed that you don’t need a big budget to travel along with the power of social networking. Her articles are amazing and always very thoughtful. This travel couple is from Holland, and they have been to some pretty epic places. Recently they also started vlogging and I bet 2017 will be an awesome year to follow their travels! Another dutch traveler that you should follow. He’s been to 77 countries and you can follow his adventures daily on IG stories. Marina has become a big influencer when it comes to Travel Instagrams, so of course, she has a spot on this list. I’ve been following her travels and adventures for more than a year. Do you like beautiful photographs? Then you should definitely follow Jordan and his travels. He’s a great photographer and the colors in his photos are always amazing. One of my favorite photographers to follow in Instagram. Her photos are absolutely stunning and it’s a bliss every time she posts a new photo! Budget travel inspiration in abundance. Drew has recently upped his game even more, making some great videos with the theme “what you can do for 10 dollars in …”. On top of that, he’s also a travel blogger and he share his adventures daily on his IG story. An American Travel Couple that’s also running the very successful Travel & Photography Blog with the same name. Hannah and Adam are very talented and it’s a pleasure to follow their adventures around the world! 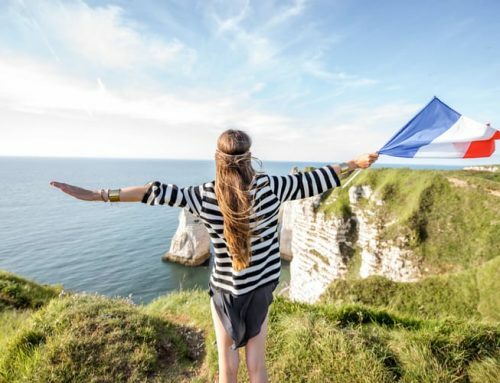 Two epic feature accounts for female travelers, and while I’m not a girl, I still like to get inspired of all the beautiful places that you get to see on the Dametraveler account as well as the Wearetravelgirls account. Yes, that’s me! I always try to inspire others to travel more and to places off the beaten path. I share photos from my travels around the world, and everything from gorgeous viewpoints, famous landmarks, magical landscapes, picturesque alleys and villages along with some live video streaming and much more! Please remember, that I do like and enjoy a lot more travel Instagrams than these 17 accounts. However, these are my absolute favorites and where I turn for inspiration every day. So, don’t be sad if you’re not on the list. And obviously, there are bigger travel Instagram accounts such as NatGeoTravel, LonelyPlanet, TravelChannel, Travelandleisure, Beautifuldestinations and so on, but these are all large travel brands. 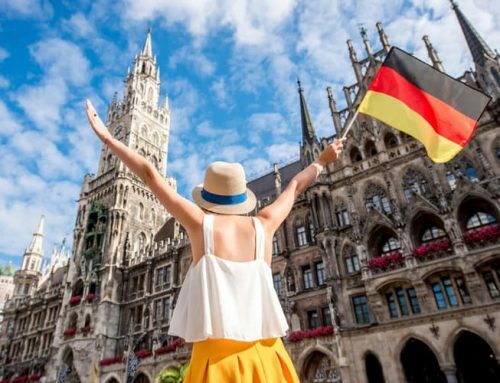 Do you follow any of these 17 travel Instagrams already? Do you have some more tips on epic travel Instagram accounts? Share in the comment section below! Thanks! Yes both Anna and Aubrie are two of my favorite Igers, and I follow both of them :) I didn’t follow Kristen, so thanks for the tip! And like I said in the post, there are plenty of more Instagrammers I follow daily and really like, including your account :) So I could have done a top 100 list, but it would’ve been so long! Will do a list of my favorite travel bloggers soon, probably around 25 travel bloggers! Thanks Becky! and Keep inspiring :) Yes, Bali would be amazing and would love to meet you as well. If we can make it work, Bali is on our wish list and would love to go back to Indonesia as well! I follow JetsetChristina she has Swedish ancestry roots great great grandparents – – – check her travels. It’s seems like its a new account as their first post was in May but pretty cool that they only post panoramas. Great article. I’d cut the chase, I actually have an online store which is in the niche of travel bags and I have been on a lookout for such people, having an instagram account in the travel niche, who can help me in bringing traffic to my store. Actaully the store is pretty brand new and I am working to bring more contents in it. Basically I want to try instagram influential marketing and I would only like to reach out to those accounts which are in travel niche. So basically, I wanted to know that if you will be interested in joining the list of instagram influencers that I am creating for the purpose of instagram influencer marketing? Also, do have more such articles that I can preferably read and further duduce!! !, as to who I should follow and reach out to regading the marketing and promotion of my store on Instagram?